Perception and experience can create or destroy trust in a provider, product, or service. A lot of companies lose trust with prospects and buyers, making it tough to land or keep accounts. Listen to Hank Barnes discuss how reputation affects trust, and the factors that make up the trust equation. Once I’m a customer, trust comes from the experience I have working with the product, and working with the company and its partners wherever that’s relevant. So if the product performed as expected, I’m going to start to trust it. If I have an issue, and the support is responsive and open about it, then I’m going to be successful. Beforehand, trust is built up before I’m a customer based on what others say about you. What your customers say about you, your stories and the approach you take in your buying process. If you are very open about where you fit and where you don’t that really helps people and we call it transparent qualification. Your qualification rules as a vendor shouldn’t be a secret. Make it very clear to buyers so that they can say yeah, this is a fit for me or this isn’t. It also comes from not making claims that you can’t keep. Those are all the factors that start to build up and create this trust equation. Trust doesn't result from what you say about yourself. Today, it's what others say about you that matters. 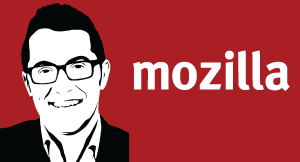 In this episode of CXOTalk, we speak with Mozilla's Chief Marketing Officer, Jascha Kaykas-Wolff, about agile marketing, open source, and the empowered consumer. It's all about delivering on the promises that you, the vendor or provider, make.